Note: September 13, 2018. The stage and mermaid show are currently closed for repairs. Please check the Weeki Wachee Springs State Park Facebook Page for status. Weeki Wachee Springs is one of those old Florida tourist attractions, like Marineland, that everybody wanted to visit in the 50's and 60's. After Walt Disney World opened in October 1971, attendance at Weeki Wachee Springs began to decline. 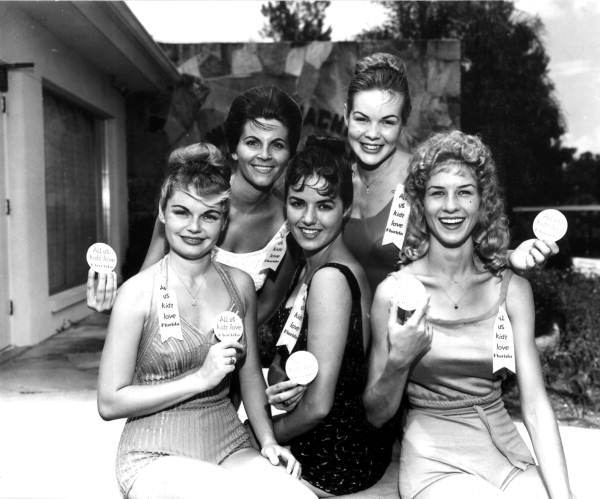 In its glory days, beautiful young women came from all over the world to audition for roles as mermaids. As many as 500,000 people a year flocked to see the mermaid shows. Famous people from Florida and elsewhere came to the springs. Don Knotts, Elvis Presley and Esther Williams are among the celebrities who visited or made films. Today Weeki Wachee Springs is part of the Florida State Park system. This is good for the financial stability of the operation, and adds to the fun of the attraction. 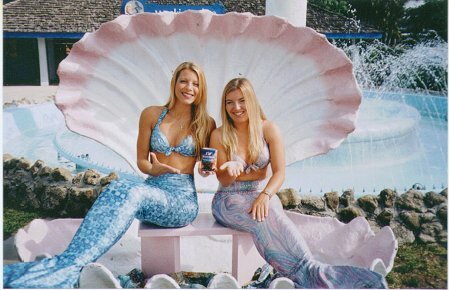 Mermaid shows are held again, and even former mermaids come back to swim in reunions. The motto of the mermaids is "once a mermaid, always a mermaid". Buccaneer Bay, a water slide attraction, opened in 1982, to compete with Wet N Wild in Orlando and other water attractions with flumes and waves. You will enjoy seeing the mermaids swim in the springs. It is one of the major events that has made this one of the most enduring Florida tourist attractions. Once in awhile they are joined by the natives of the springs: turtles, fish, manatees, otters and even an alligator now and then. Visitors can swim in the springs (with the Sea Diver program), and have their pictures taken with the mermaids. In addition to the fun at Buccaneer Bay and with the mermaids, canoes and kayaks are available to rent, along with inner tubes, to drift down the Weeki Wachee River. A river cruise is also available. Here is a short video from the Florida State Archives about the care and feeding of a mermaid. All in all, a fun couple of days can be spent at this most wonderful and laid back of Old Florida tourist attractions. A word of caution about the hours of operation. 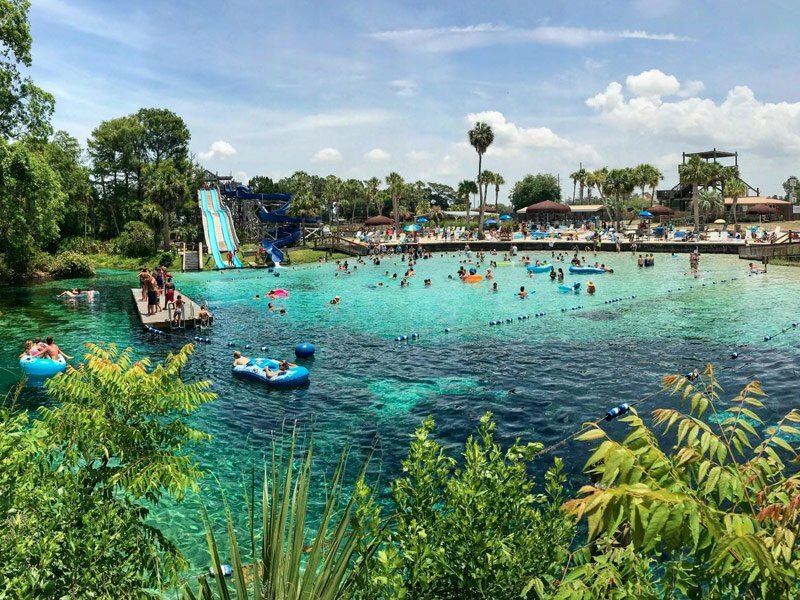 Weeki Wachee Springs has a schedule that varies depending on the time of year. It also varies depending on whether Buccaneer Bay is open or closed. I advise checking their website for current operating hours and days of operation, or call at 352-592-5656. Weeki Wachee Springs is located at the intersection of State Road 50 and US-19. From I-75, take the Brooksville exit at SR-50 and go west through Brooksville and Spring Hill to the attraction. From Tampa, take Suncoast Parkway north to Spring Hill exit, then west on SR-50 to the attraction.